Just as getting the ‘right fit’ is one of the most important aspects of a good garment, so is getting the right person to fit into your team or choosing the right company to work with. 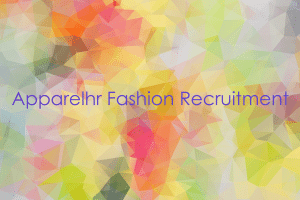 Let Apparel hr Fashion Recruitment take the work out of looking for your next career move by targeting the employers you would like to work with or sourcing that perfect candidate to fill your specialised role. With over 40 years in the fashion industry, we are able to give you sound career development and staff recruitment advice. ‘We are here to give you options’. We can help you with our established contacts and vast networks to get that dream job or employee! Our promise is… we will get back to you!